Developing your interpretation of the music you play is one of the most important and satisfying aspects of music making. 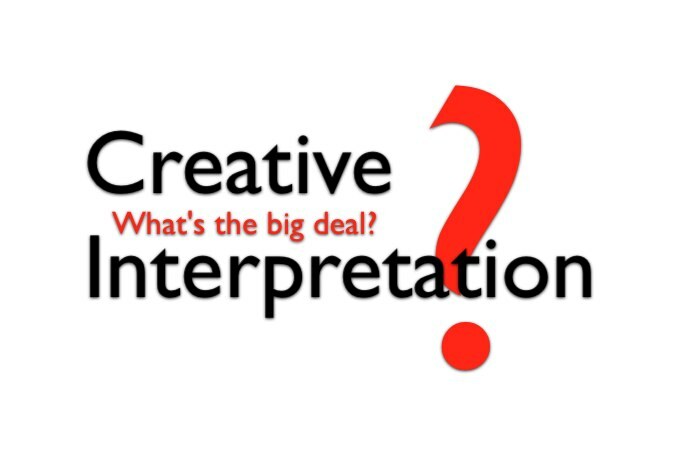 Your interpretation reflects your ideas and feelings about the music. Unfortunately, younger musicians usually concentrate only on understanding the notes and rhythms of a marimba solo. Obviously this is important, but it’s only fifty percent of the job. Communicating your emotional connection with the music through your interpretation is essential to the “magic” of music. Think about how a certain performance or piece of music has touched you in the past. When you perform you want to connect with an audience in the same way that music connected with you. The following ideas may be helpful as you prepare a piece of music and try to get “beyond the notes and rhythms” to find a starting point for your interpretation. Remember, the goal when playing music is to be expressive while maintaining stylistic considerations. 1. Learn all you can about the composer of the piece of music you are preparing. 2. Listen to any recordings of the composer’s music and determine which stylistic considerations and expressive elements are important in your solo. 3. Be aware of these expressive elements when you listen to other instrumentalists perform. 4. Define any unfamiliar musical terms on the manuscript. The integrity of musical phases, or the grouping of notes, is essential to your interpretation. Listen to how a violinist or French horn player begins and ends a phrase. Slurring is an important tool for musicians to connect notes and develop phrases. Wind/string players and vocalists can easily glide from one note to the next without re-articulating the following notes. Unfortunately, keyboard percussion instruments do not have this capability. Slurs can be imitated on the marimba by re-attacking the second note at a softer dynamic to blend into the ring of the first note. Even though marimbists can only imitate a slur at best, it is important to listen carefully to how other instrumentalists utilize the slur. By understanding how a wind player or violinist shapes a phrase with slurring, the marimbist can be more sensitive to the development of phrases on the marimba. Critical listening is necessary for a strong interpretation. As you learn the notes and stickings for the music, mark the beginnings and endings of each musical phrase in pencil on the manuscript. Strive to make the delivery of each phrase crystal clear to the listener. Just playing the right notes and the right rhythms will not be enough to make your playing expressive. 1. A phrase should have musical direction and an ending. 2. Decide on the musical “character” of the phrase. Is it moving forward (building), pulling away (relaxing) or unchanging? 3. Practice singing the phrase the way you want to play it. 4. Make sure to ask yourself, “Is my interpretation of the phrase interesting to me?” If your answer is “no” or “I’m not sure,” then it probably won’t be interesting to the audience either. 5. Record your playing regularly. 6. Use a pencil to mark areas in the music that need attention as you listen to your recording. Most performers strive to utilize the composer’s dynamic intentions written on the music. However, there are many “shades” or levels to each of the standard dynamic markings. Rarely does a piece of music keep a static dynamic level even though it looks that way on the page of music. Most solos have an ebb and flow of relative dynamics under a heading such as “forte” or “piano.” It is up to the performer to decide how to incorporate this dynamic motion into an interpretation of each phrase. 1. Focus on the page of music and utilize all of the information the composer has given you regarding dynamics. 2. Analyze the shape of the phrase and the musical direction of each phrase. If the composer does not offer any suggestions, try a basic application of higher pitches equal louder dynamics (fuller dynamics at phrase peaks). Decide if this fits the direction and style of the music. 3. Try different approaches to sample different dynamic applications. 4. Once you have become satisfied with your ideas, write them in pencil on the music. 5. Record your interpretation and make revisions if necessary. Percussionists have a tendency to think that rhythm and time is rigid like a grid. Just take out your metronome and set it to sub-divide sixteenth notes to listen to this grid. Non-percussionists such as pianists and violinists do not always think in this manner. Listen to other instrumentalists and focus on how they use time and rhythm to be expressive. Study the music of these performances as you listen to “rubato” and “expressivo” sections of the music. You will find that there are many possible variations of the same rhythm. 1. Analyze your music for opportunities to utilize time (pushing forward, pulling back, accell, ritard, etc.). 3. Consider altering roll speed in rolls for help in musical direction. Even though the marimba may seem to have limited articulation possibilities, there are many ways to alter the tone and attack of the marimba for expressive content. Mallets are the common choice for articulation shifts on the marimba. Choosing and combining different mallets can offer articulation changes for the listener. Combining the top part of the marimba mallet in one hand versus the normal playing area in the other hand (and other possibilities such as the shaft of the marimba mallets) are other options. Many composers also utilize dry stokes or dead strokes for shorter articulations, where the mallet strikes the bar and remains on the bar to dampen the sound. Different playing areas on the marimba bars (near the nodes, half way to the center of the bar, and the center of the bar) also create a variety of timbre choices and articulation shifts. 1. Try different articulations as a means for expressive playing, not just an effect. 2. Since most composers do not mark these articulation shifts, identify the sections of the music you think are applicable and experiment with different playing areas on the bars, mallets, etc. 3. Test your articulation shifts in a large room or performance hall. These changes will sound different in a big room as compared to the practice room. 4. Record your performance and mark any necessary adjustments on your music. An excellent text on musical interpretation is Casals and the Art of Interpretation by David Blum published by Holmes and Meier Publishers, 1977. This short text is a classic work on interpretation and expression. Students of all ages will benefit from Pablo Casals’ ideas as they are demonstrated through a variety of orchestral examples. The concepts are clear even if the reader is unfamiliar with the multitude of musical examples. However, listening to the examples and score study will lead to a broader understanding of musical interpretation. It is important to vary your listening habits with many styles of music. Attend concerts by professional musicians as often as possible. Put yourself in the position to hear “unfamiliar” music played by outstanding musicians whether in concert or on recordings. This could include any solo recital, chamber music, jazz, world music and orchestra concerts. Over time, these experiences with quality music will surface in your own playing.